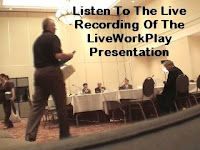 It was on very short notice that LiveWorkPlay prepared a presentation to the Legislative Assembly of Ontario's Standing Committee regarding Bill 77 (An Act to provide services to persons with developmental disabilities and to repeal the Developmental Services Act ). 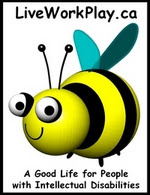 The news that LiveWorkPlay had been invited to appear was not received until after the SMILE trip to New Hampshire (see story below) so that left just a few days to pull it all together. In the end the decision to invite Jennifer Harris to represent LiveWorkPlay and speak from the heart (see video, right) as a self-advocate was a good one. Many other presenters (including other Eastern Ontario affiliates of Community Living Ontario) focused on very specific aspects of Bill 77. The LiveWorkPlay presentation was directed more to broad principles such as quality of life issues and the right to self-determination for people with intellectual disabilities. Together these different types of presentations gave the committee members a lot to think about, and hopefully it will all translate into better legislation and a better future for people with intellectual disabilities throughout Ontario. The TELUS Ottawa Community Board has announced a grant of $20,000 in support of video learning projects that will support independent living for people with intellectual disabilities. This will include the creation of specialized instructional videos to assist in a variety of problem-solving situations ranging from cooking to writing a cheque. End users of the videos will be involved in their creation whenever possible, ensuring that they will achieve their intended outcome - greater independence in the enjoyment of daily life. What an adventure! 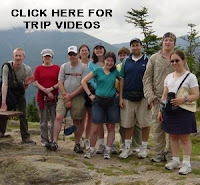 22 SMILE participants and 4 LiveWorkPlay staff members travelled by road through Ontario, Quebec, and Vermont to the White Mountains of New Hampshire and the AMC Highland Lodge. There was hiking, lounging, ping pong, shopping, gondola riding, and even a flight down a mountain on a zip line! Live animal sightings included bats, hawks, moose, and black bear, not to mention a few SMILE participants looking quite wild in the lodge rec room! There was a SMILE trip to the same lodge (during the winter) back in 2006, and there were significant changes in evidence. The group was much more active, and also much less reliant on staff support. For example, they opted to wander freely in the massive Settler's Green outlet shopping area in North Conway. Nobody got lost an d there were some great bargains had by all! The real endurance test of the trip was the drive home. An incredibly powerful thunderstorm stuck the 417 not far from the Quebec border that slowed things down and played havoc with the rest stop schedule (always important in a group of 26!) but in the end the delay was just 45 minutes. For many participants including Caroline (right) the arrival time was not important because they were taking OC Transpo home anyway! This was the first year of the new ACES summer program format, which featured a combination of trip planning, vocational education at MBNA/Bank of America, and overnight travel! As with their peers ten days earlier, the second group of participants who travelled to Montreal from July 21-23 did themselves and the organization proud! Working within a budget, the group got to make their own choices about mode of travel and activities. They decided to travel by bus and on arrival on Monday they quickly headed off to La Ronde amusement park. Tuesday was truly jam-packed! It started at the Biodome, moved to the Botanical Gardens, Insectarium, the Labyrinthe, and the sound and light show at the Notre Dame Basilica. The Labyrinthe on the Montreal waterfront is actually a maze, not a labyrinth, but whatever you call it, it was very challenging! The group got hopelessly lost in the middle of it all and had to get creative to make their escape! 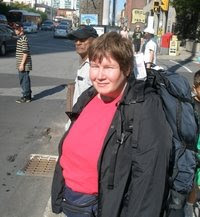 Wednesday was a shopping day on Rue St. Catherine that had everyone smiling as they headed home. The new ACES format has been praised by participants, parents, and staff, so look for something similar for 2009, featuring a different destination. Click here to check out photos from both Montreal trips! 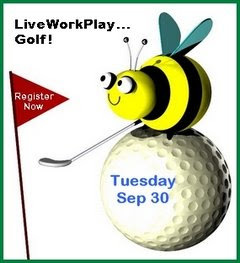 The Second Annual LiveWorkPlay Golf Tournament at GreyHawk is set for September 30. This year's tournament will be played on the Talon course, which offers some tough risk-reward shotmaking oppo rtunities: ignore the water and bunkers or lay up? Sign up today and make your choice when the time comes! The volunteer organizers including Paul Sheldon and Pat McFadden are working hard to recruit golfers and sell out this event for the second straight year. Where they really need your help is with recruiting hole sponsors and door prizes. The tournament offers a great opportunity for exposure to a variety of community and business leaders. Contact Keenan at 613-235-9550 x 223 if you have contacts interested in learning more about supporting the event. We hope you have enjoyed this 22nd edition of LiveWorkPlayNews. If you have received an email about this blog in error and/or you would prefer not to receive future LiveWorkPlayNews messages, simply click here and follow the simple instructions. That same web page can also be used by newcomers who would like to join LiveWorkPlayNews, so feel free to share the address with friends, colleagues, and family who might like to subscribe.